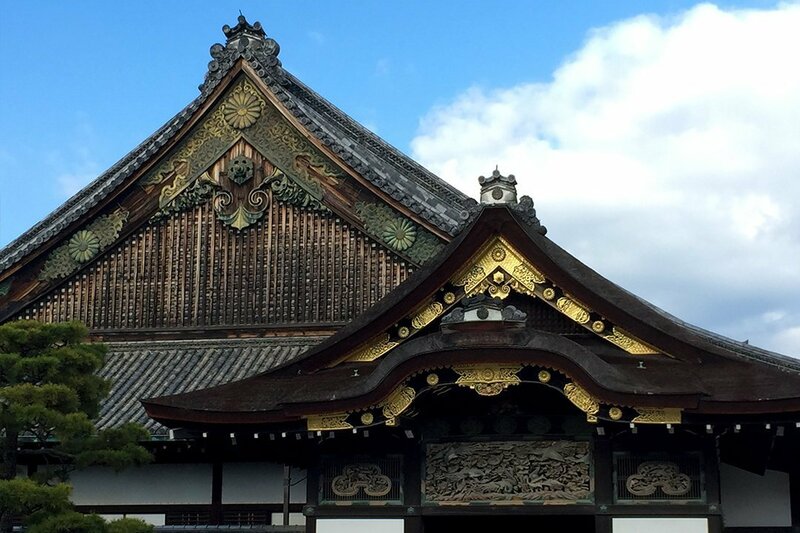 Sort of an easy one in Kyoto, the magestic residence of Japan’s Imperial Family until 1868, it immediately went through a Meiji Restoration in 1869. 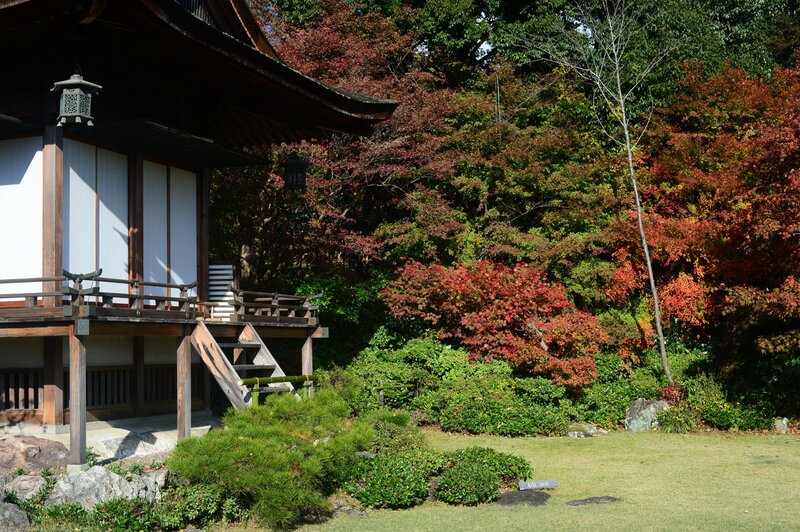 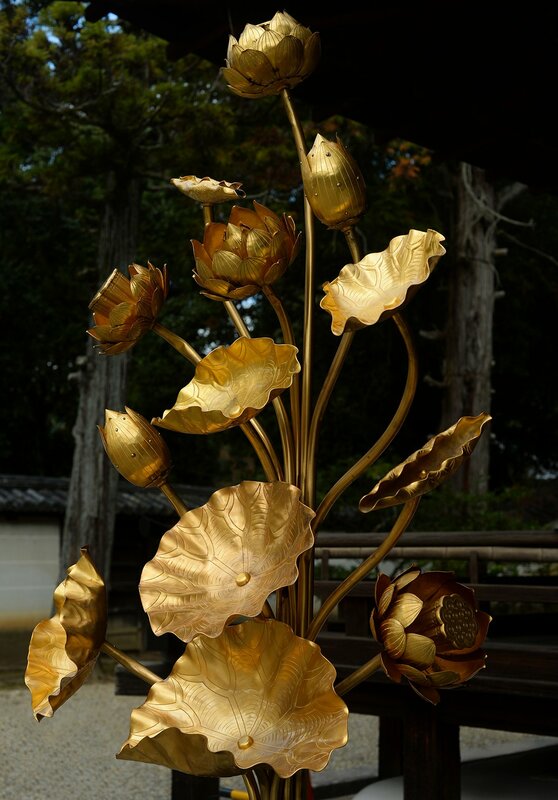 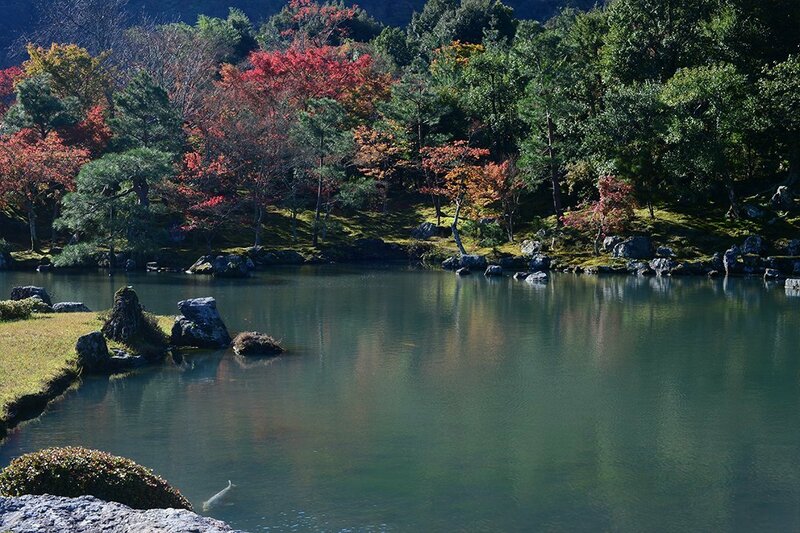 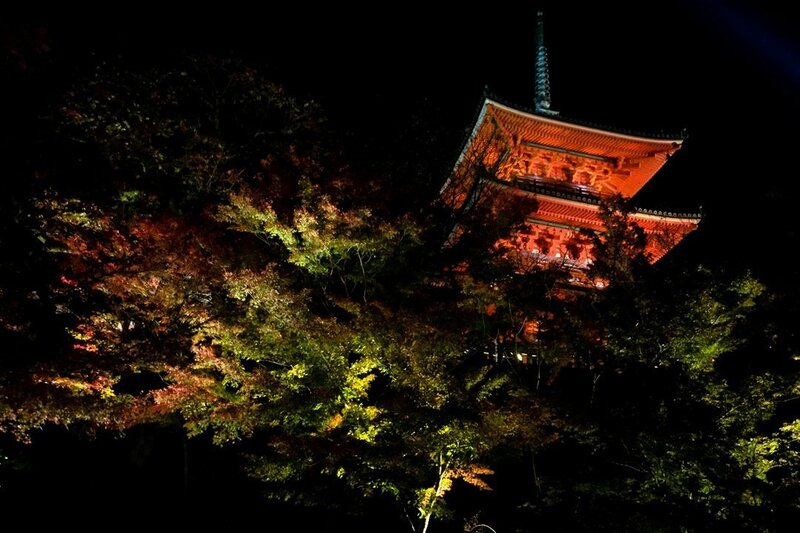 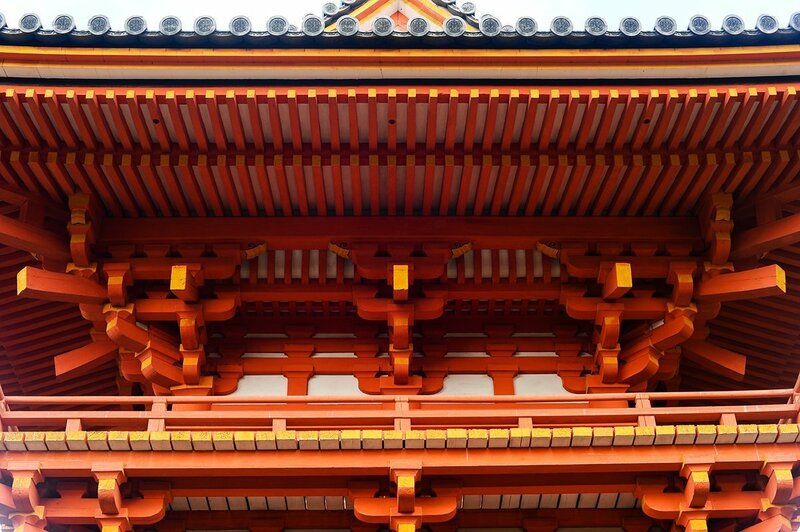 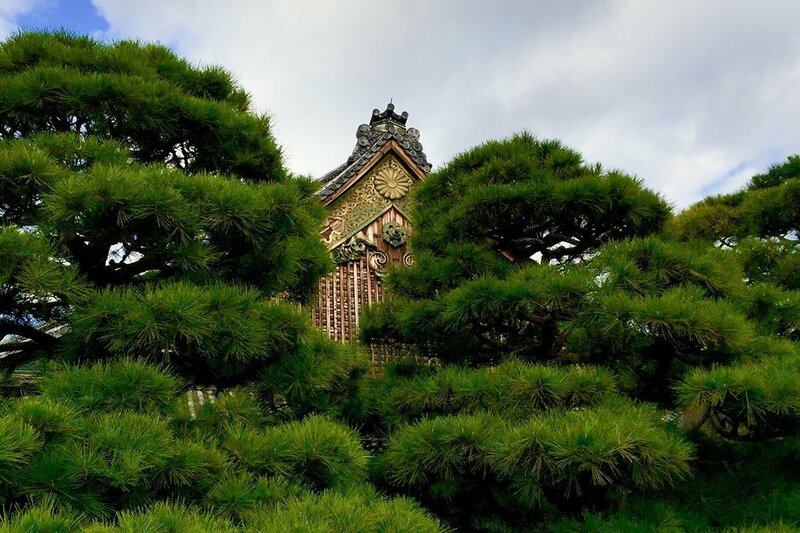 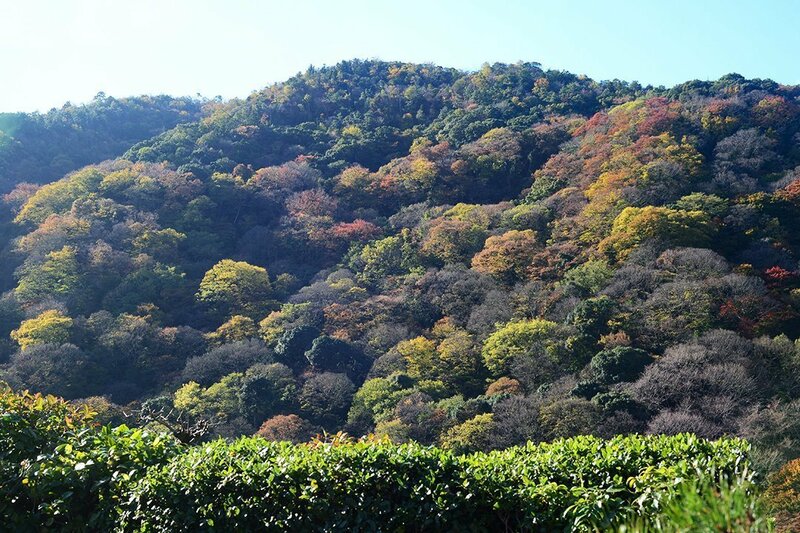 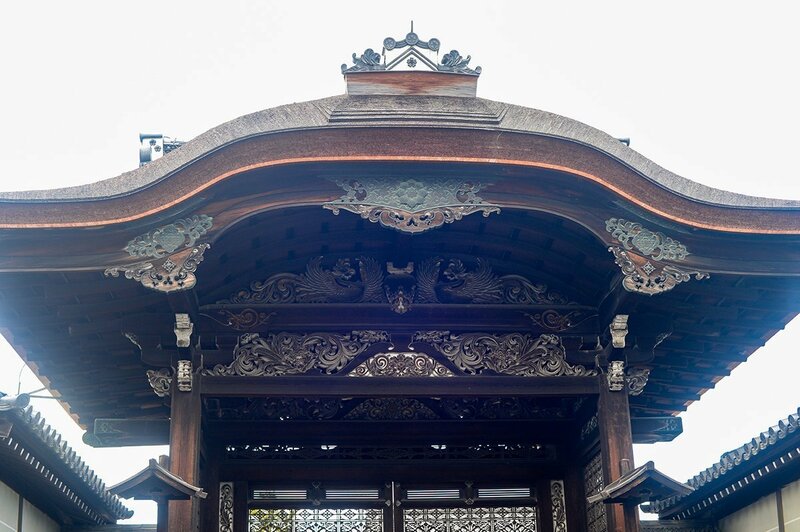 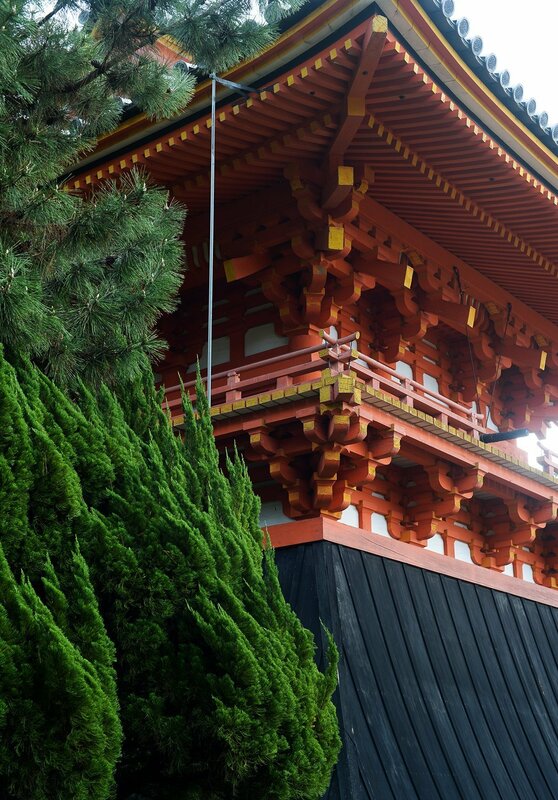 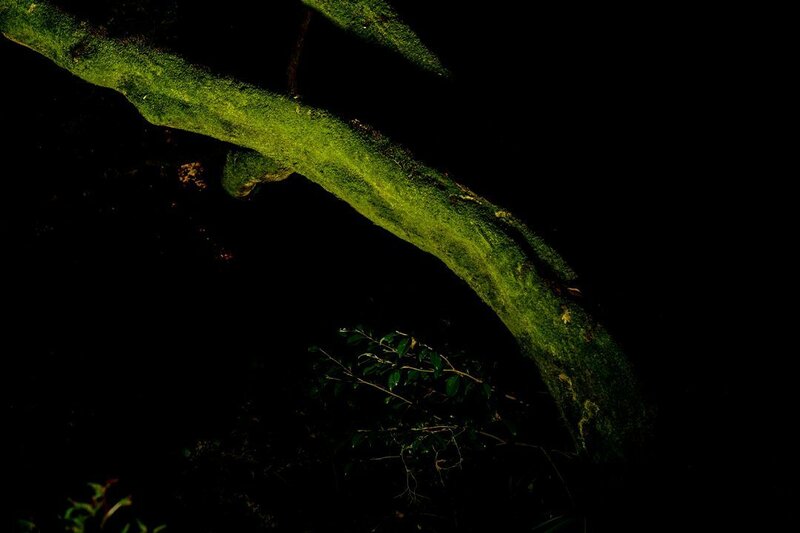 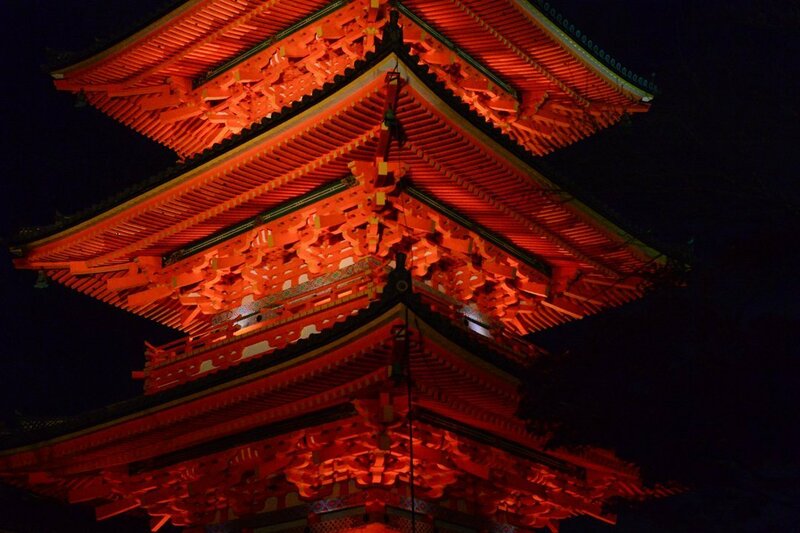 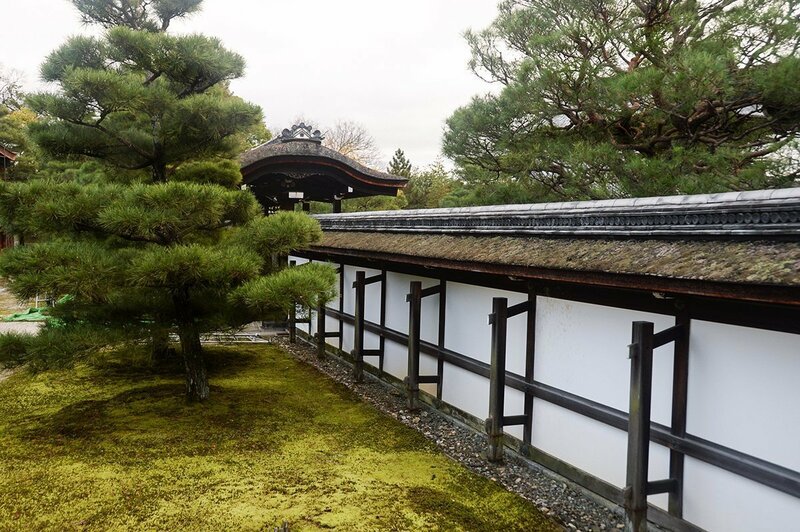 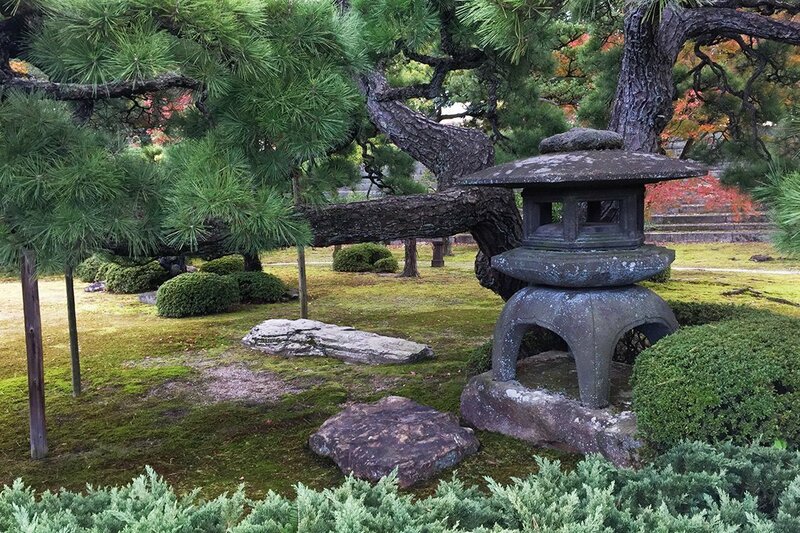 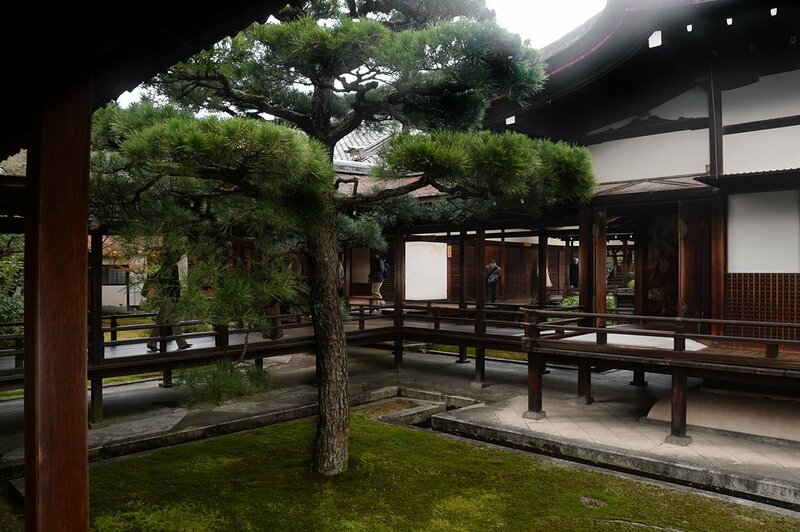 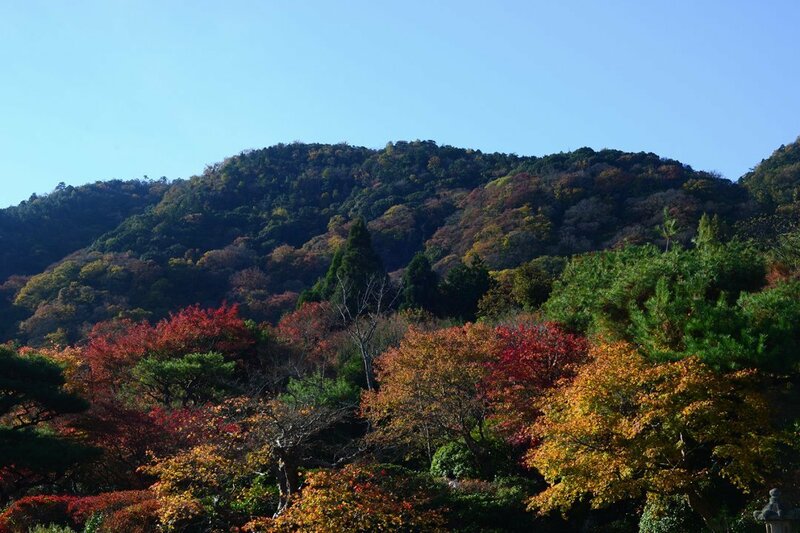 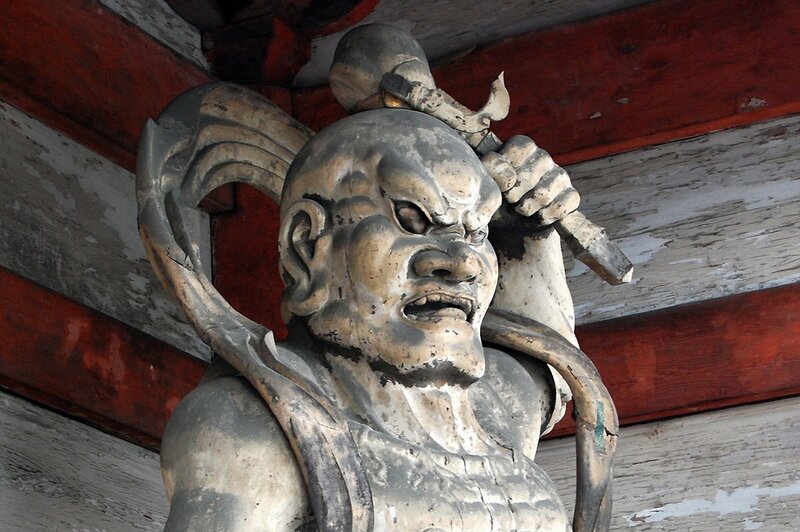 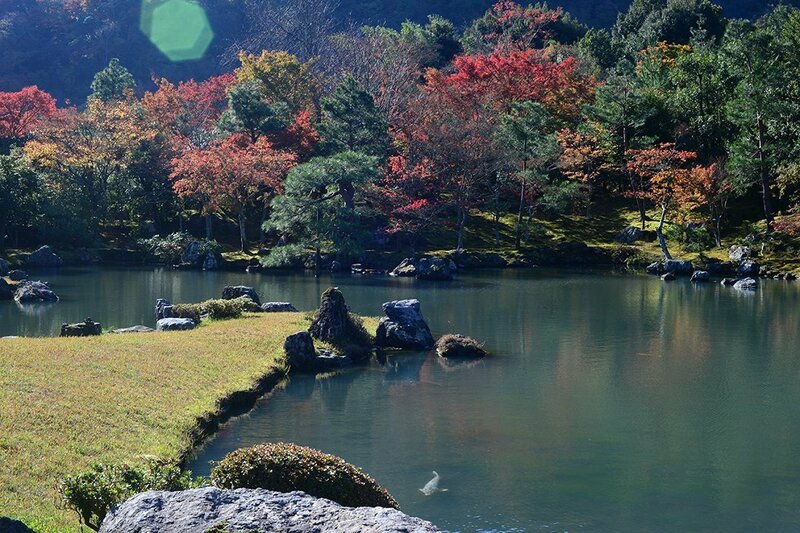 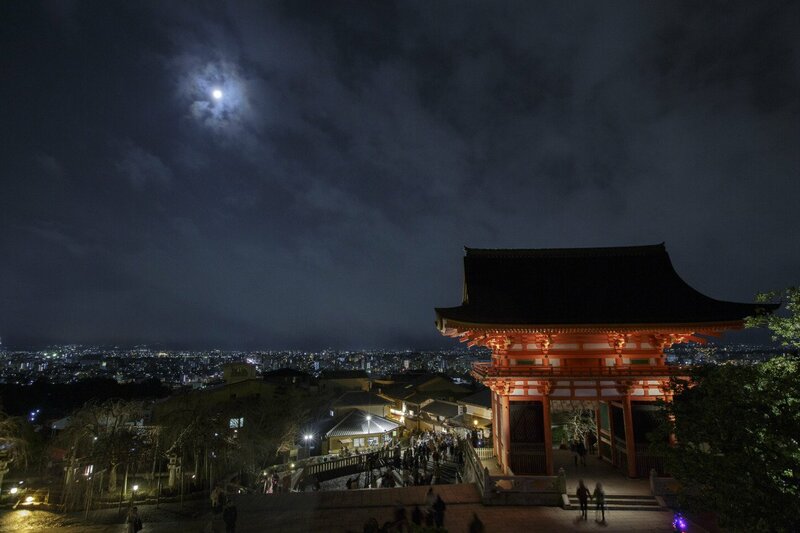 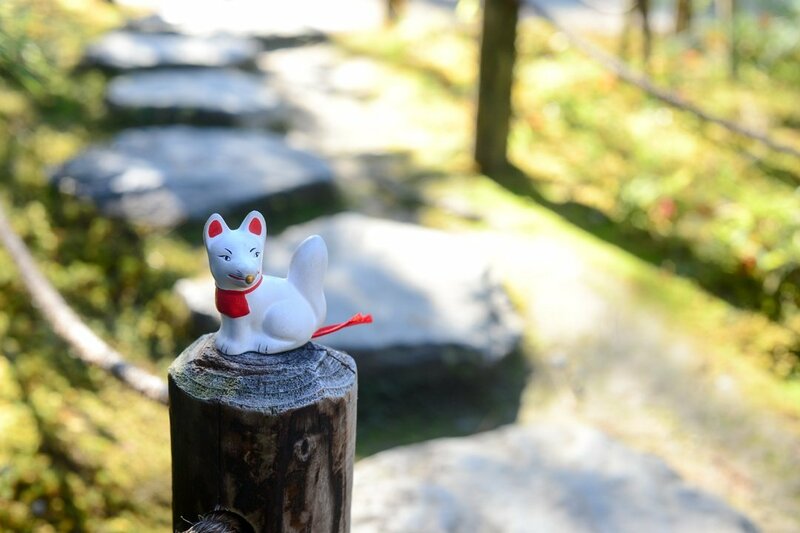 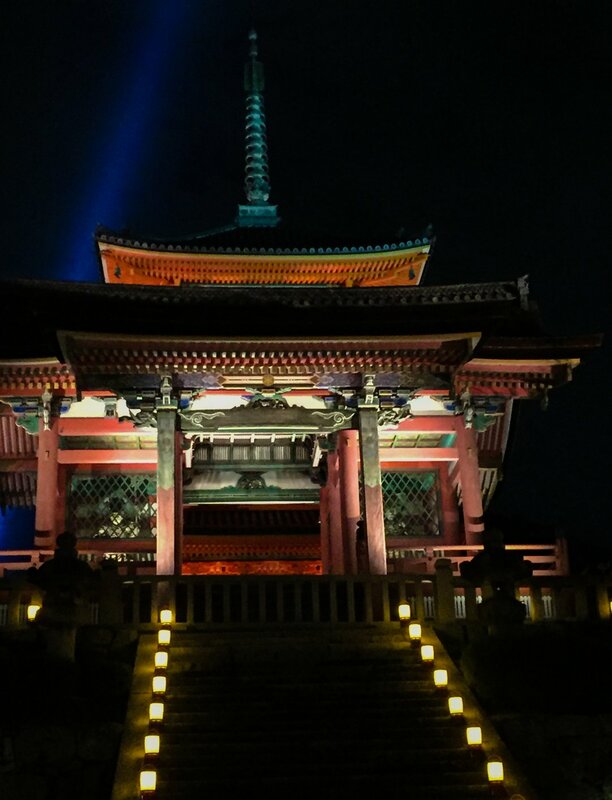 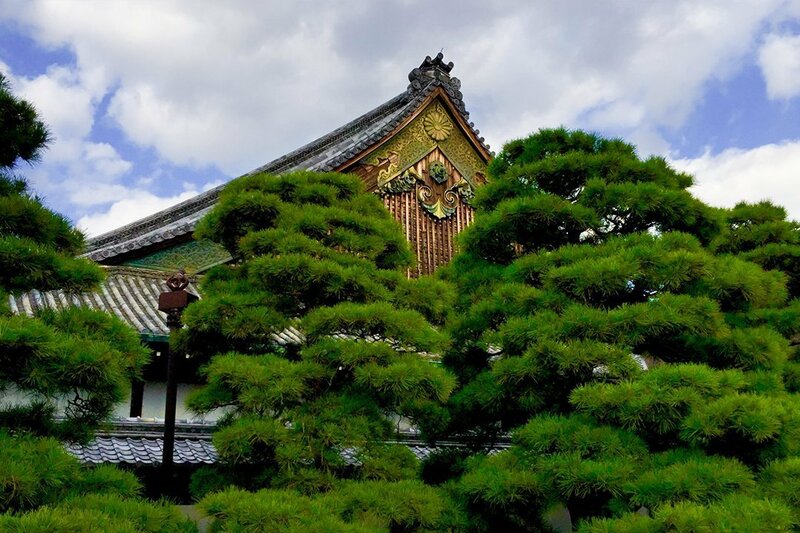 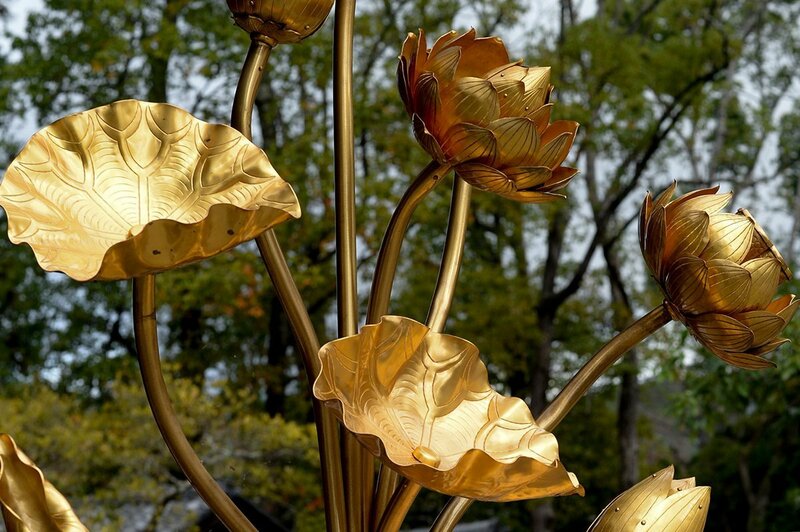 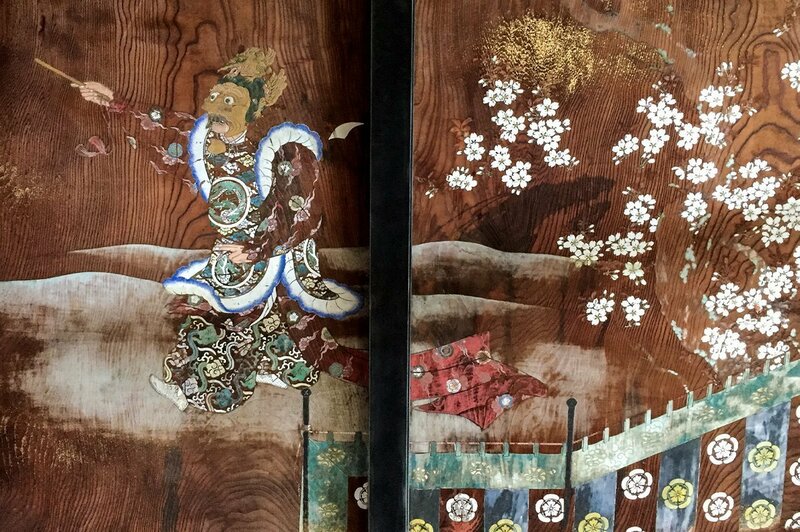 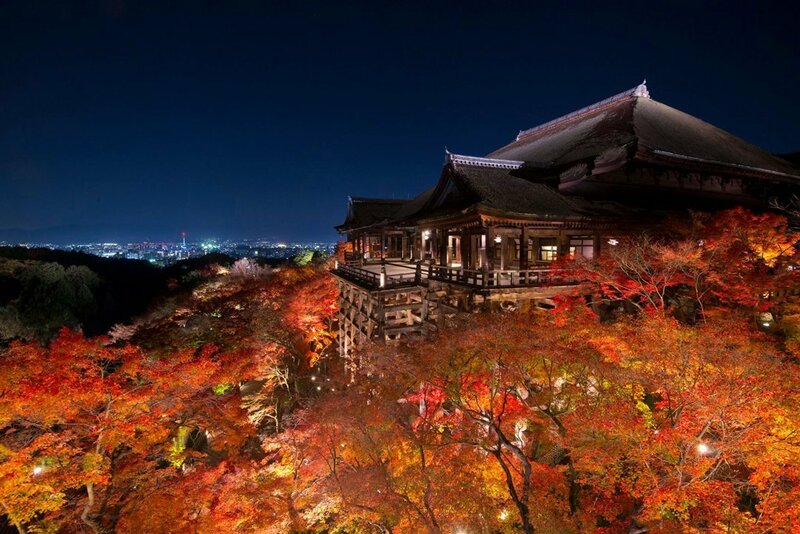 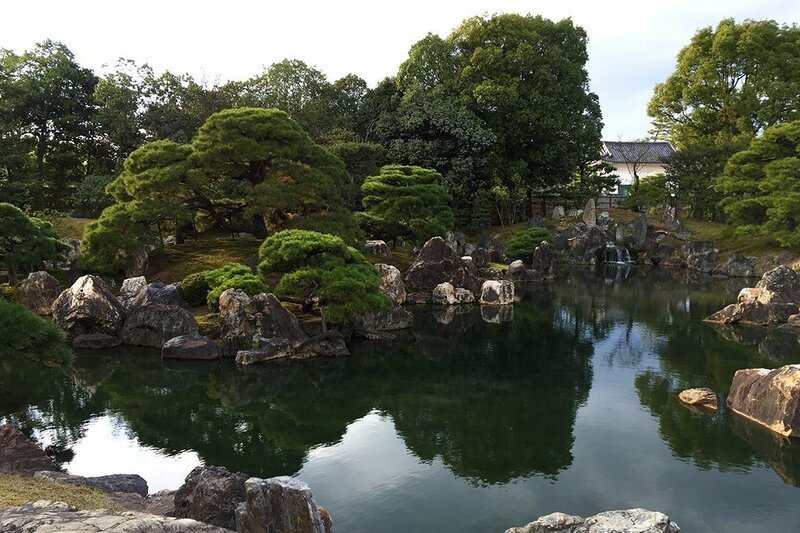 From the impressive gates of cypress-wood, throughout the entire complex you will be awed as you are in most of Kyoto. 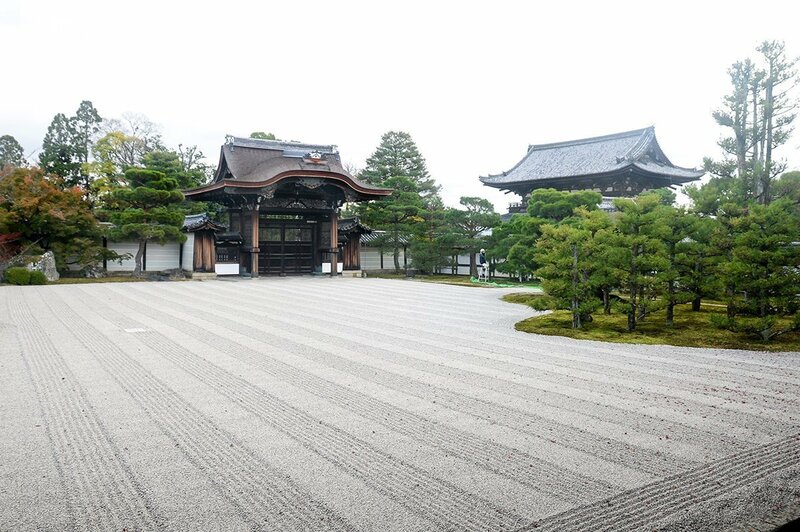 Ninna-ji was originally built in the year 886-888 by Emperors Kōkō and Uda as the head temple of the Omuro School of the Shingon sect of Buddhism. 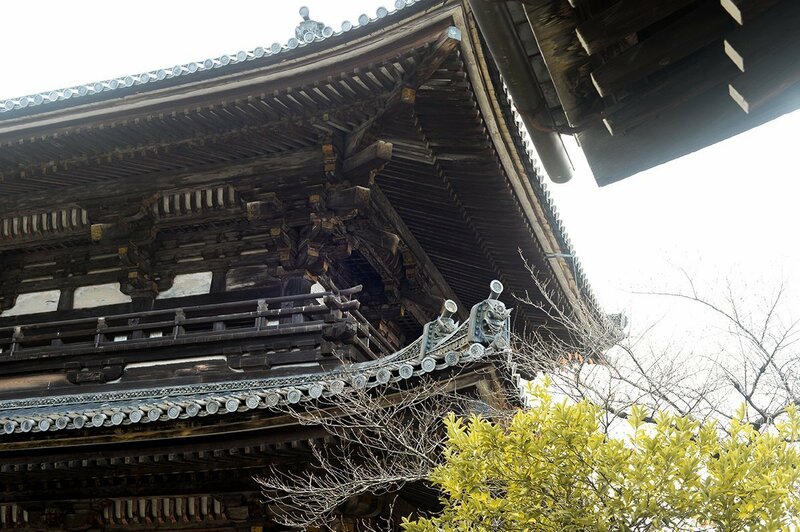 However, none of the buildings from the temple’s foundation in the 9th century still survive. 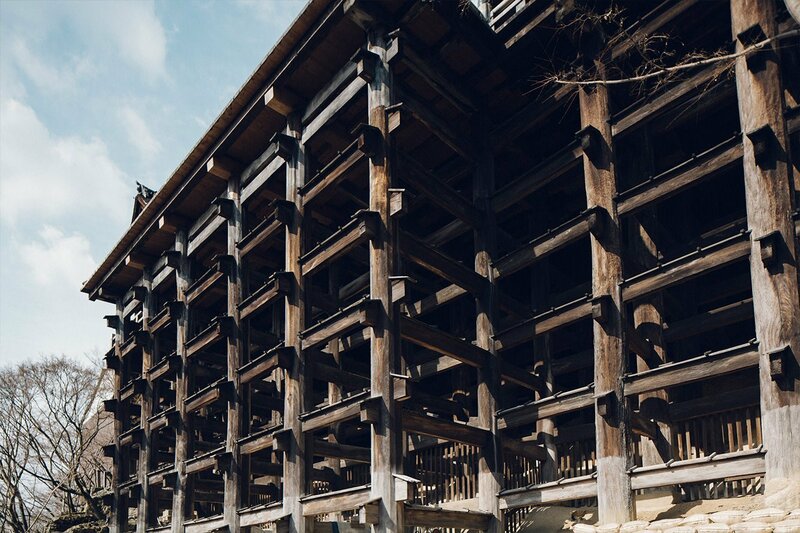 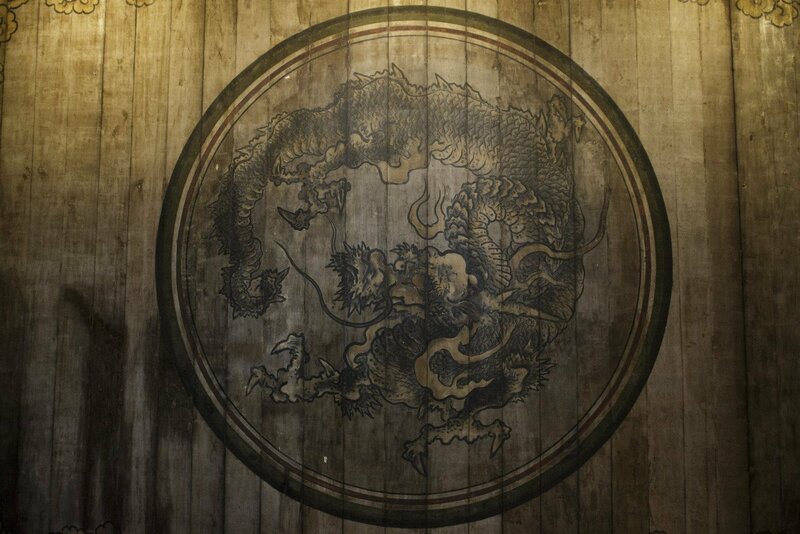 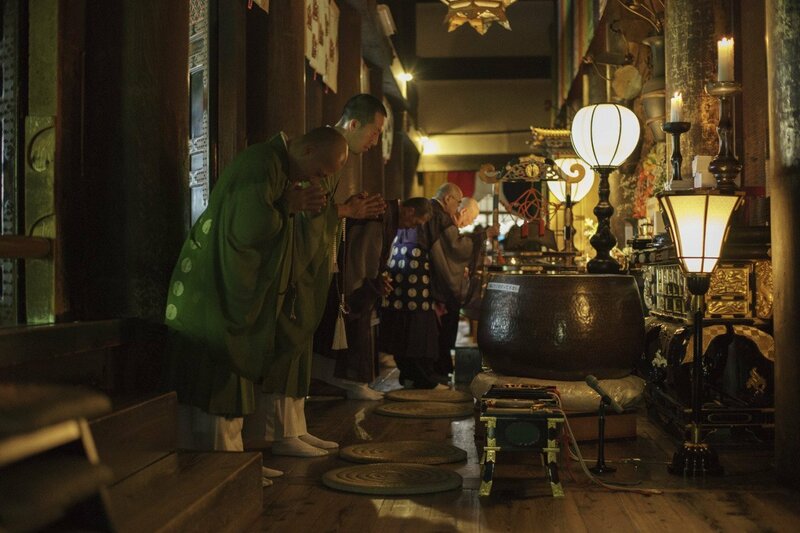 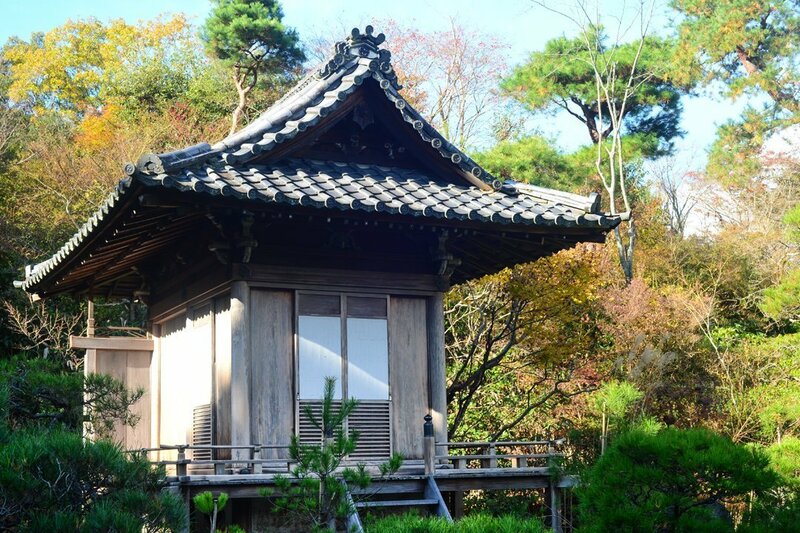 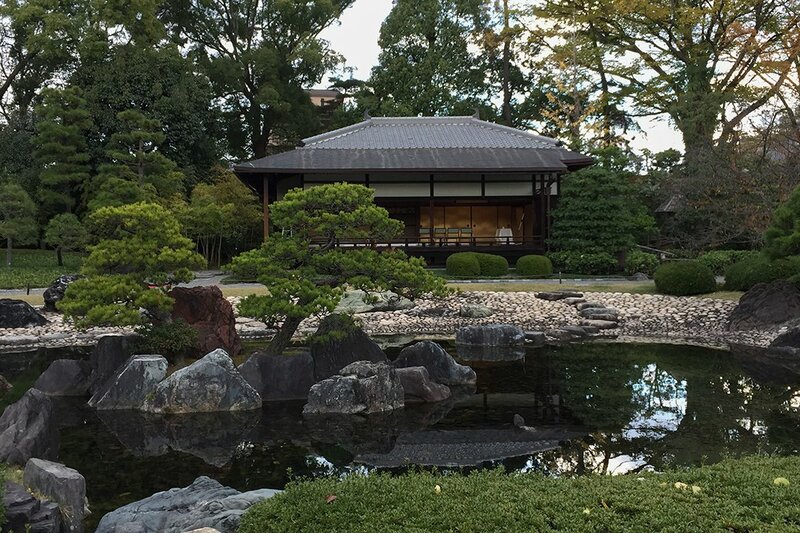 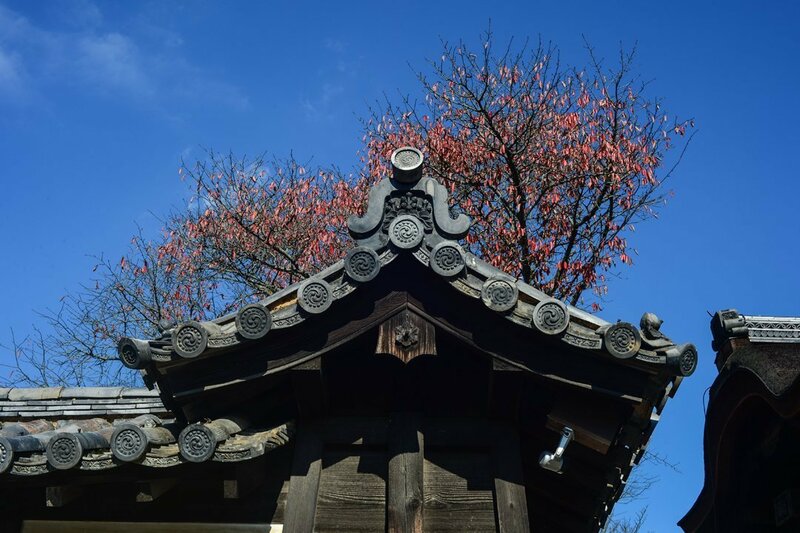 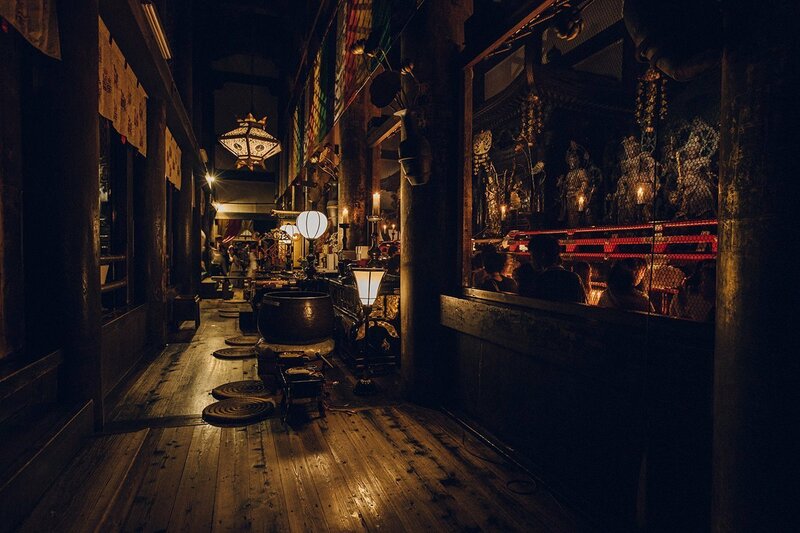 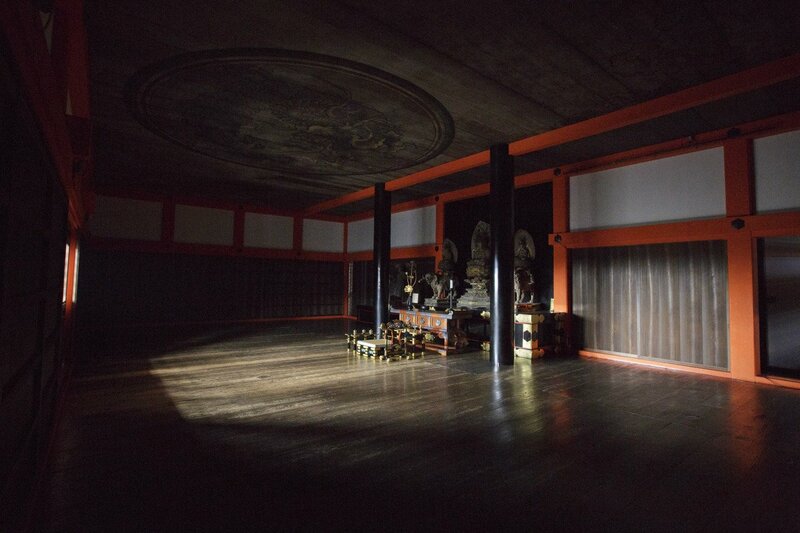 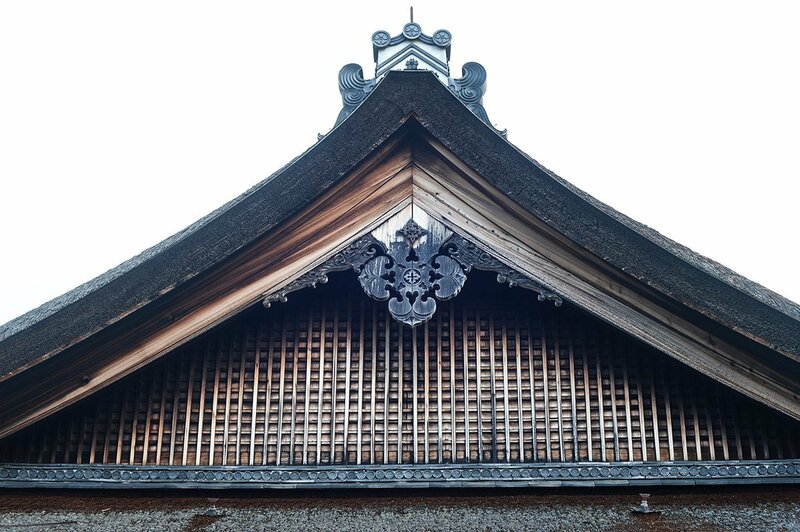 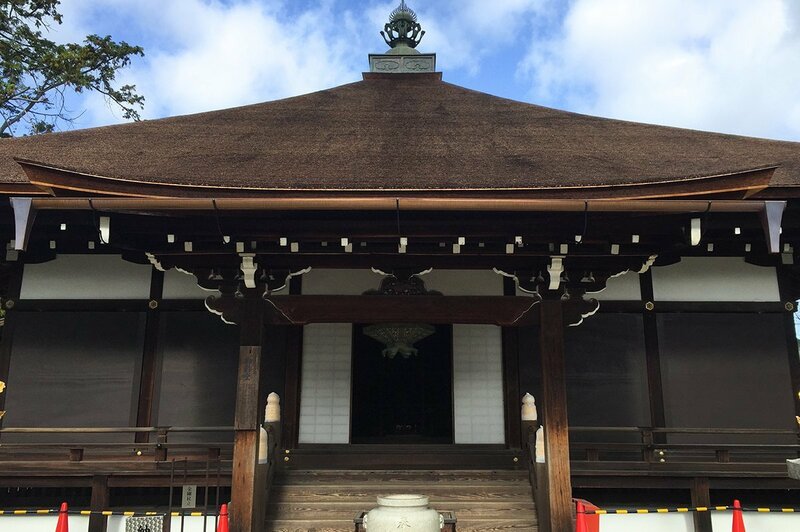 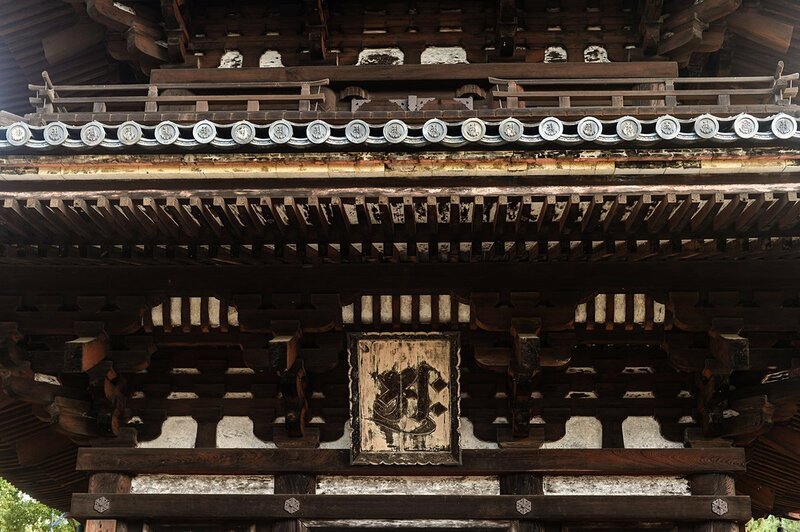 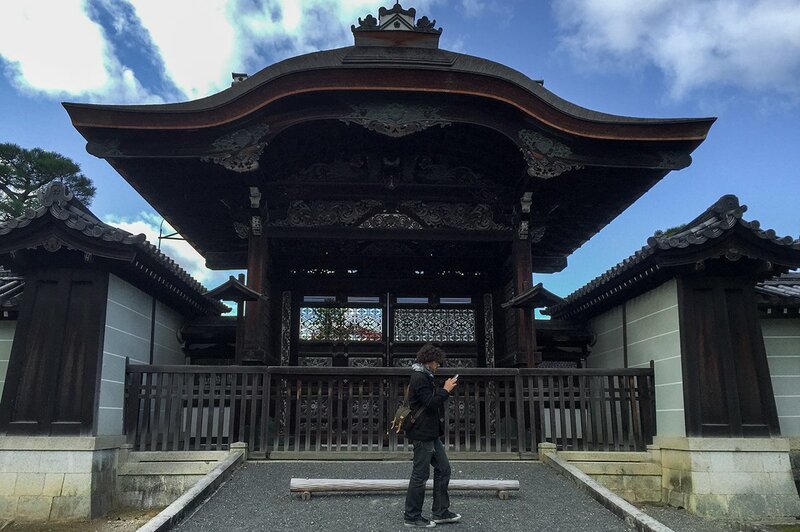 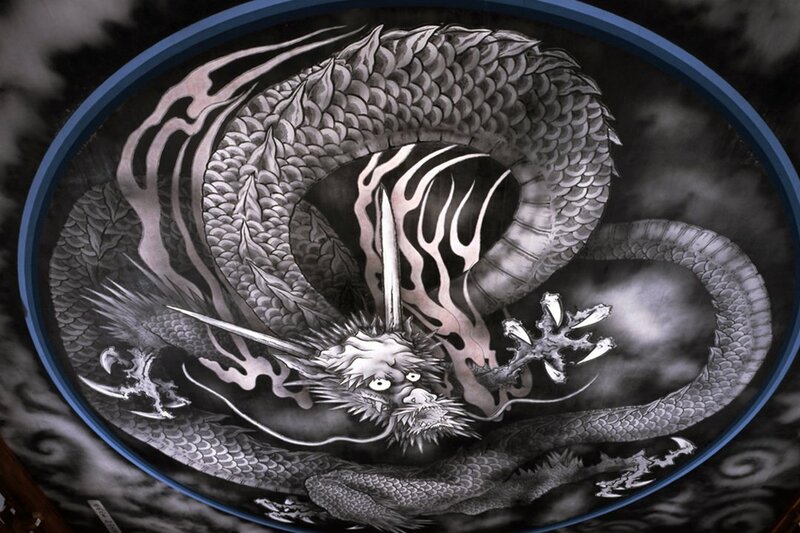 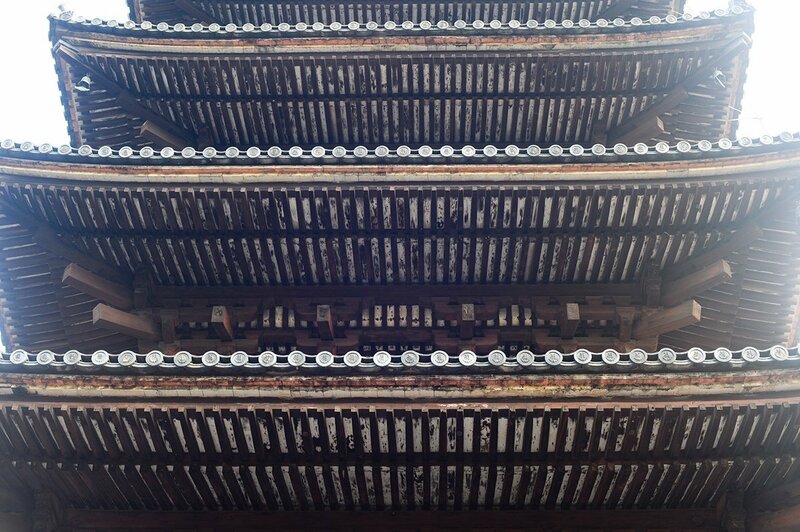 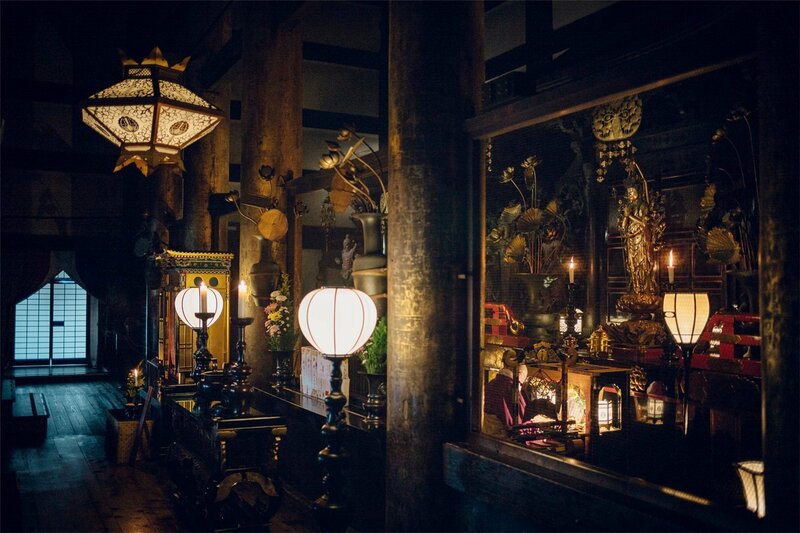 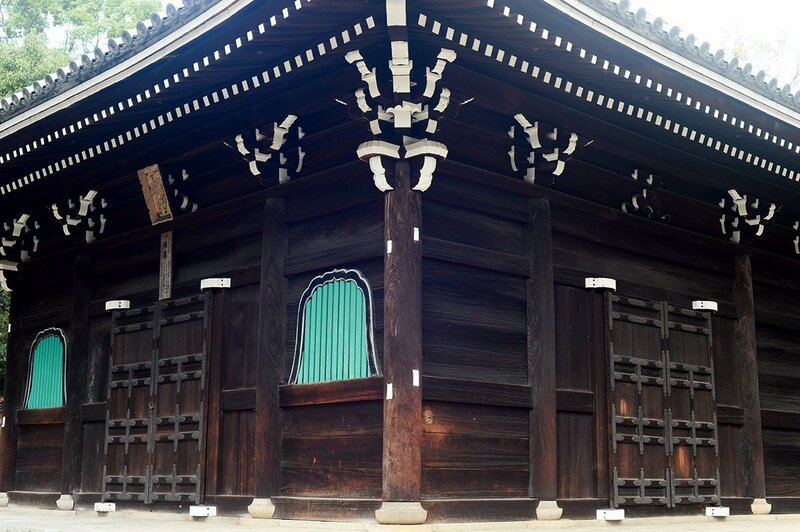 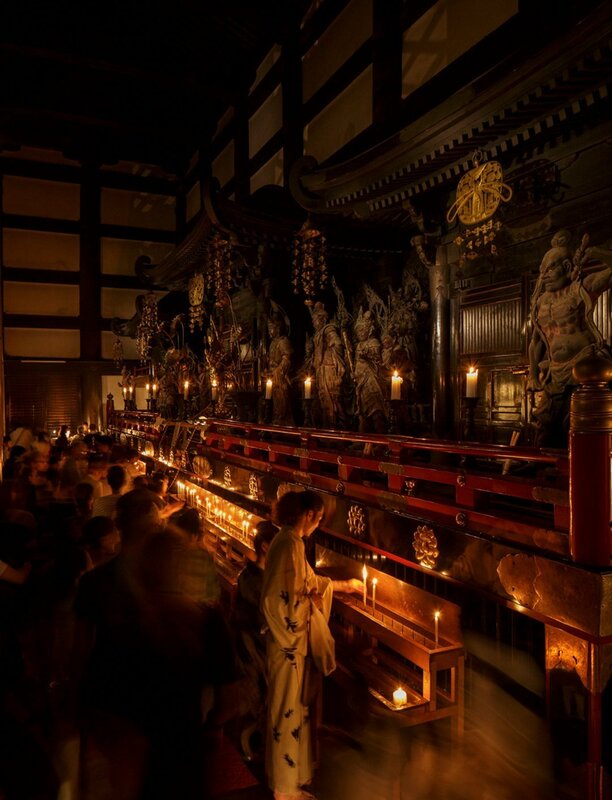 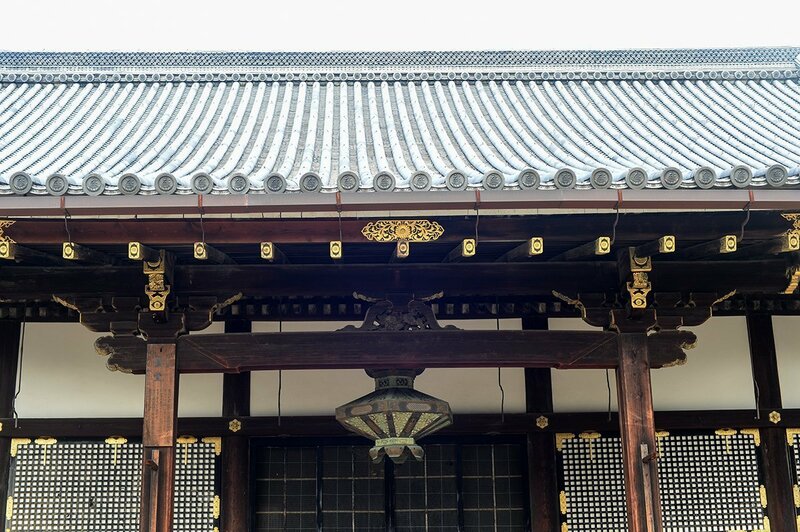 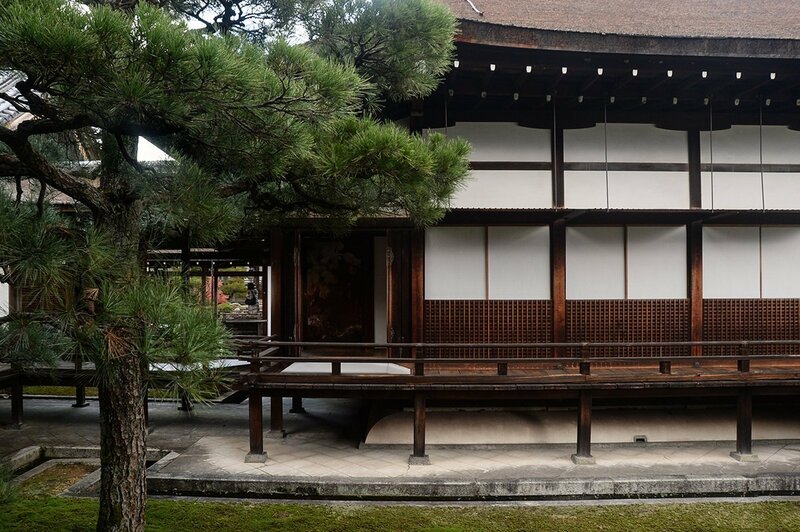 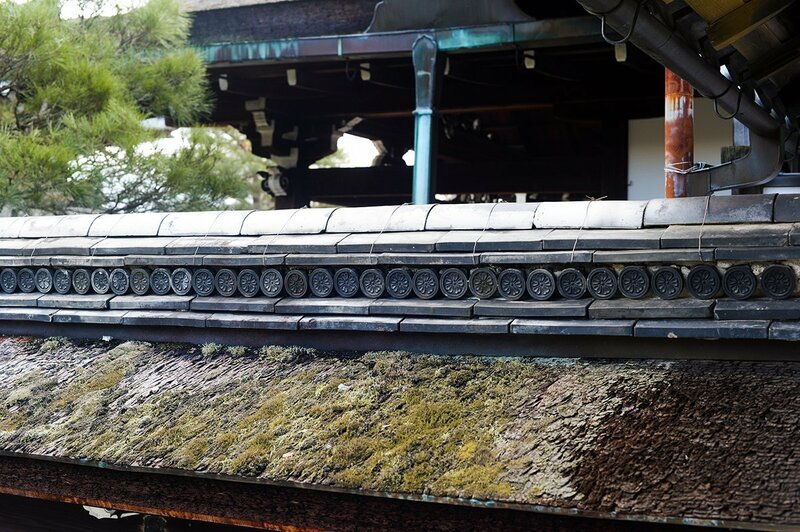 The oldest buildings date back to the beginning of the Edo Period in the early 1600s. 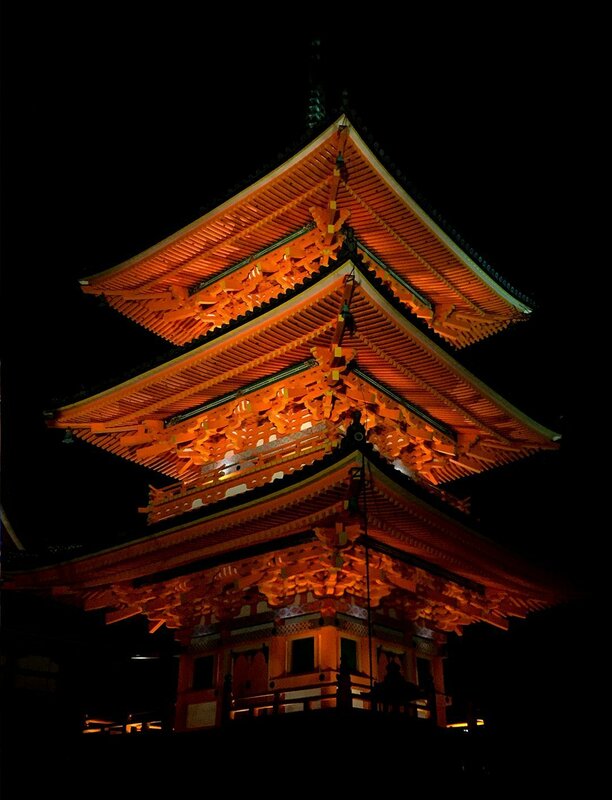 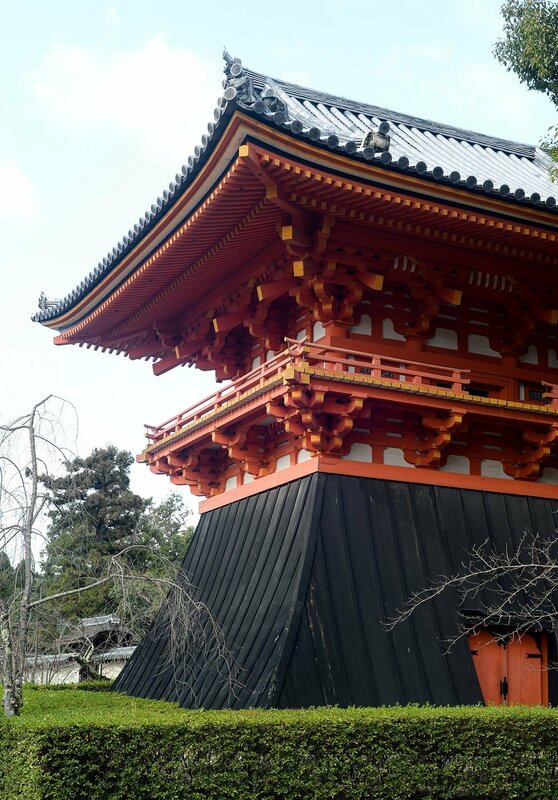 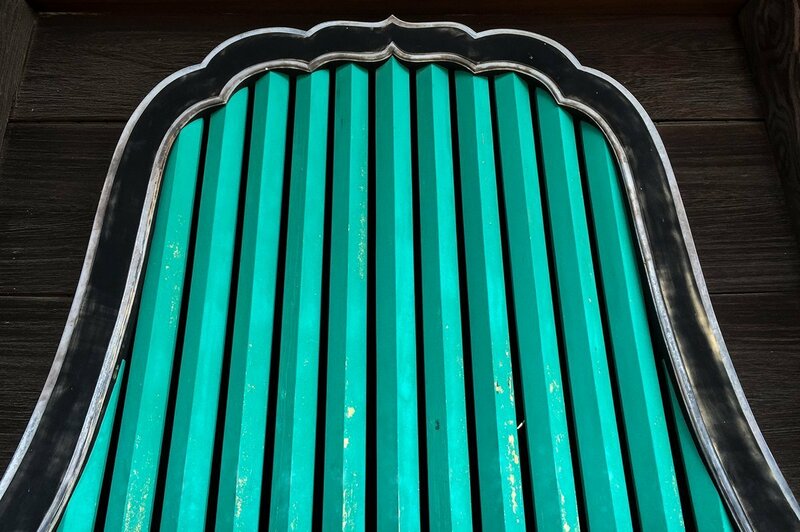 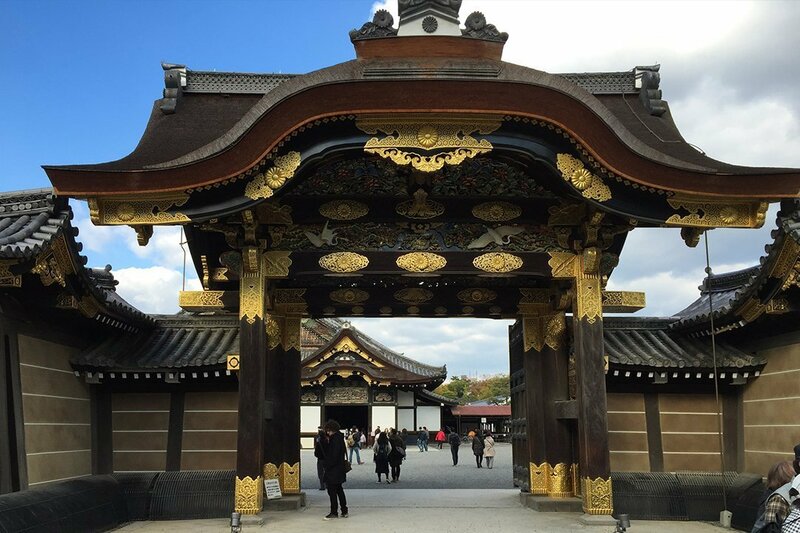 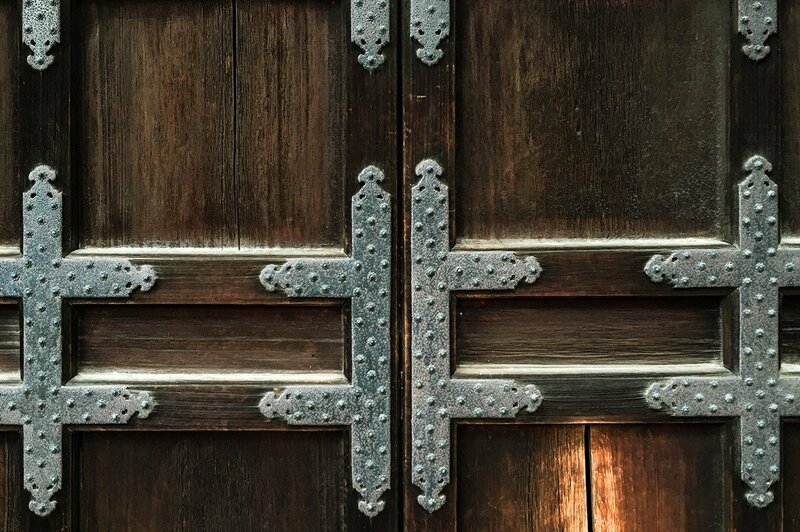 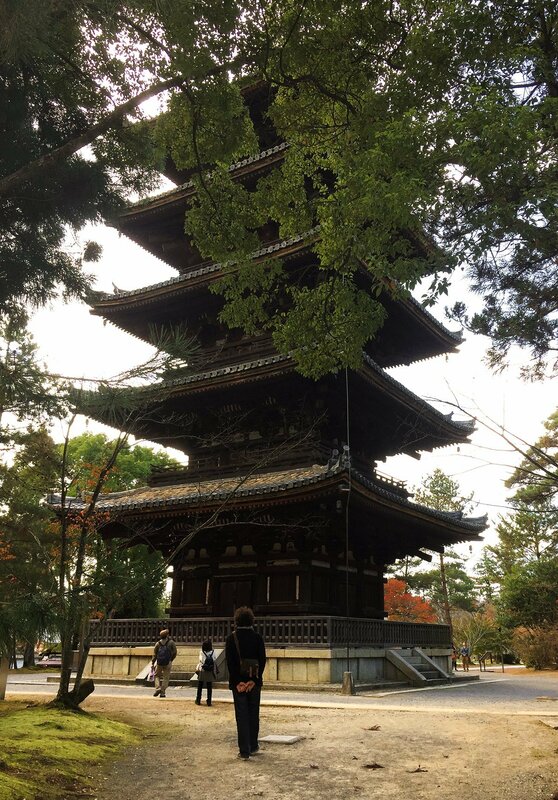 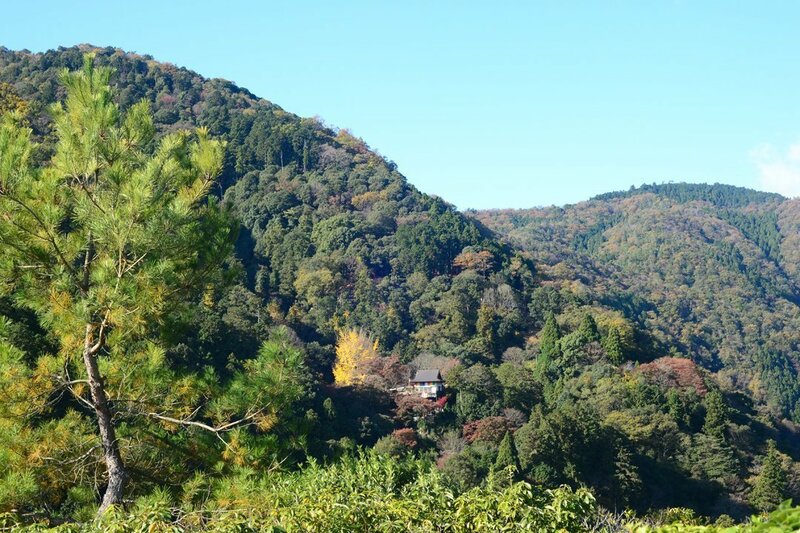 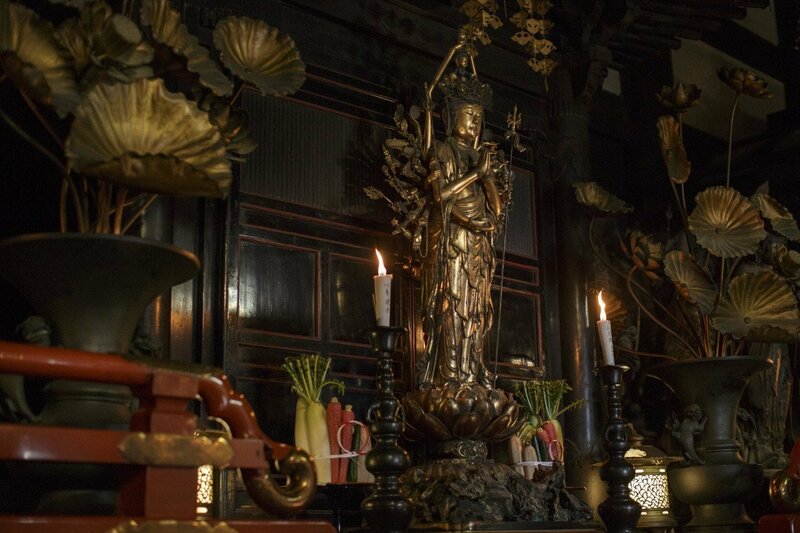 The Kannon Hall, the Niomon front gate, the Chumon inner gate and the five storied pagoda are standouts among the temples..
Worth note is the Goten. 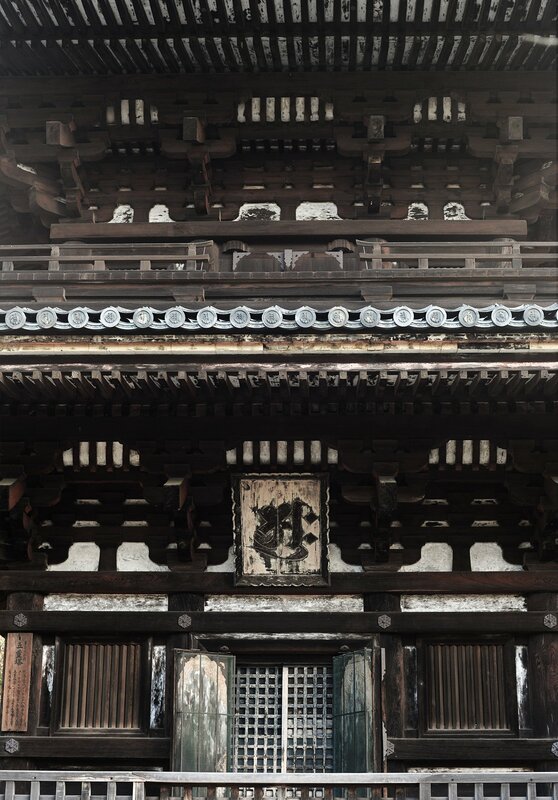 The former residence of the head priest, in the southwestern corner of the temple complex. 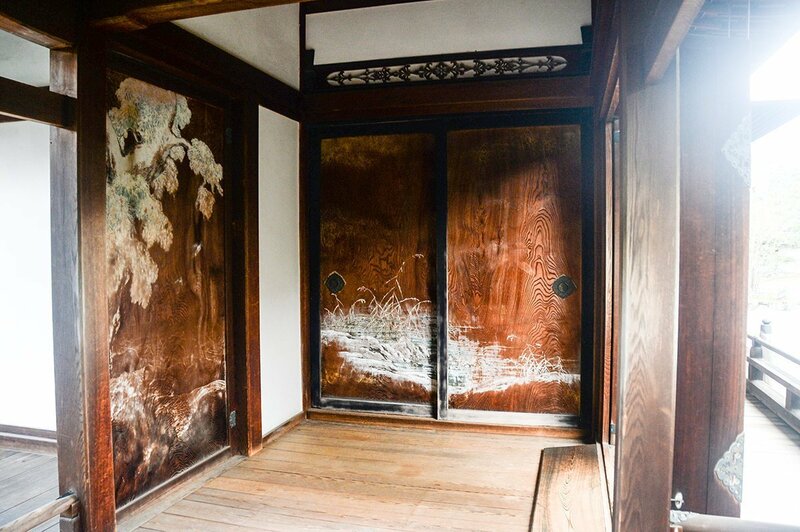 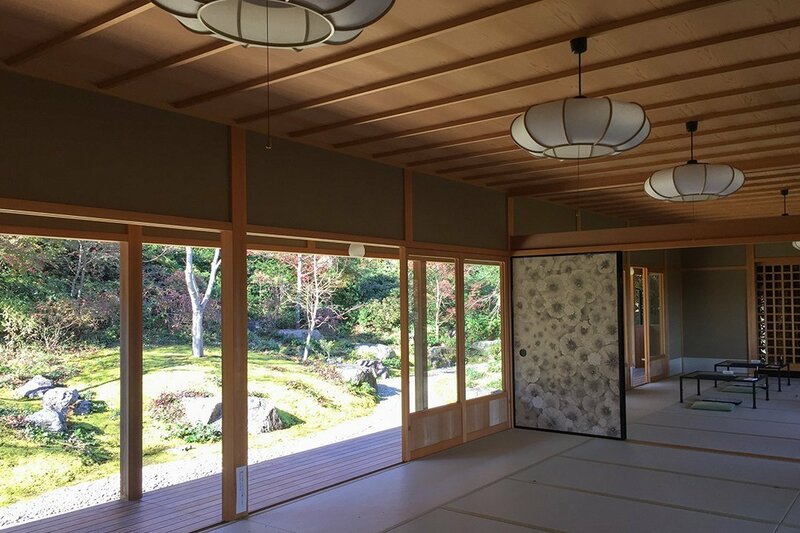 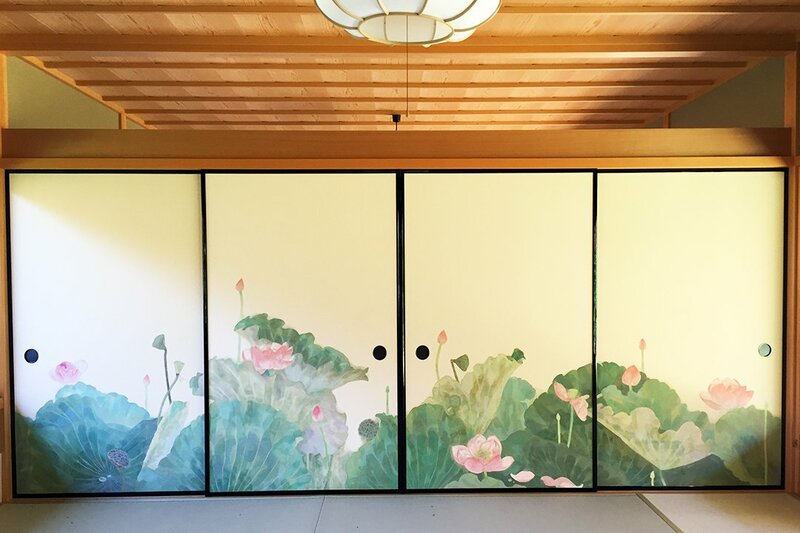 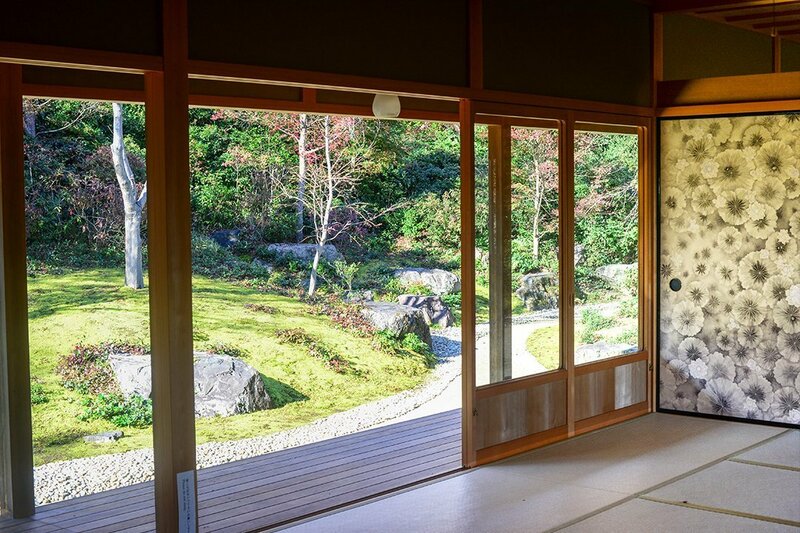 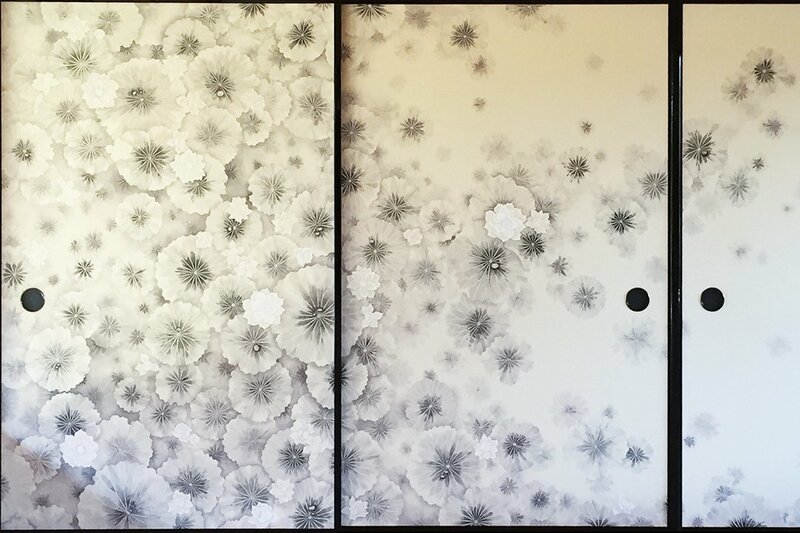 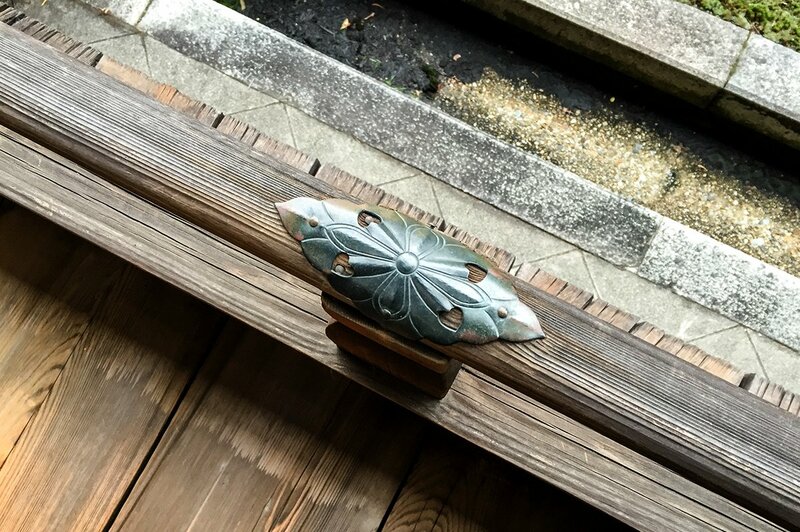 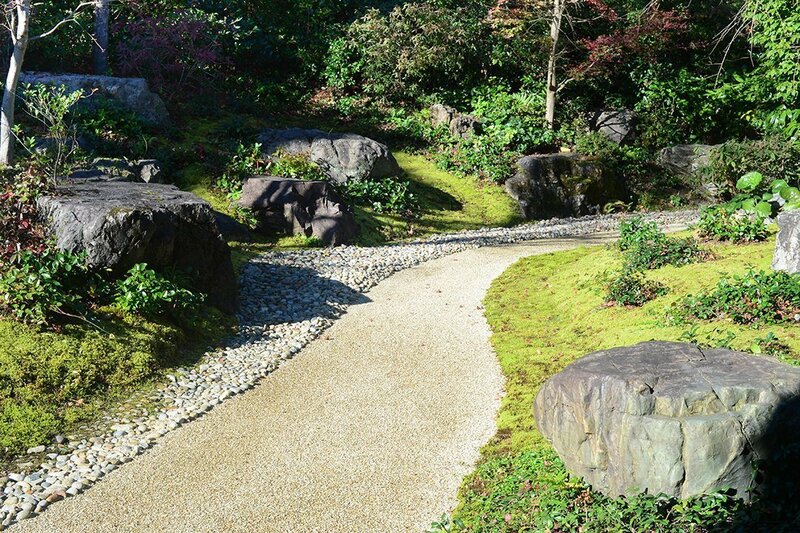 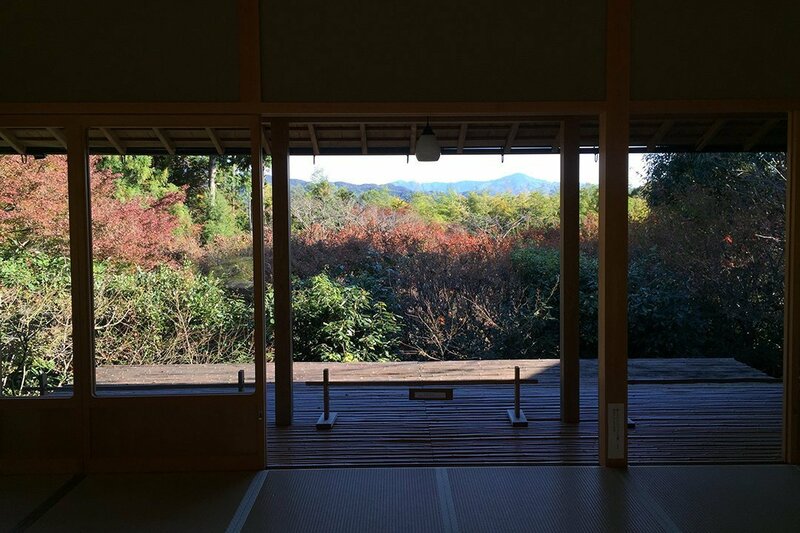 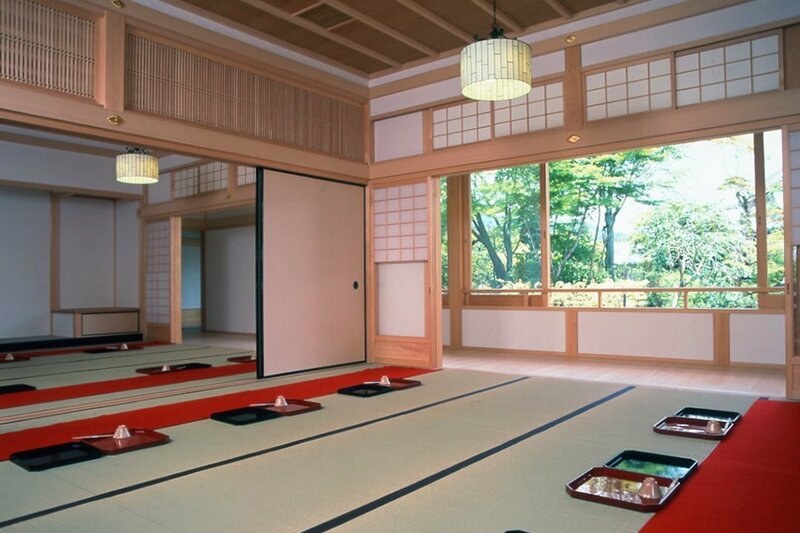 Here sliding doors (fusuma) provide a broad open view to the beautiful stones and pond. 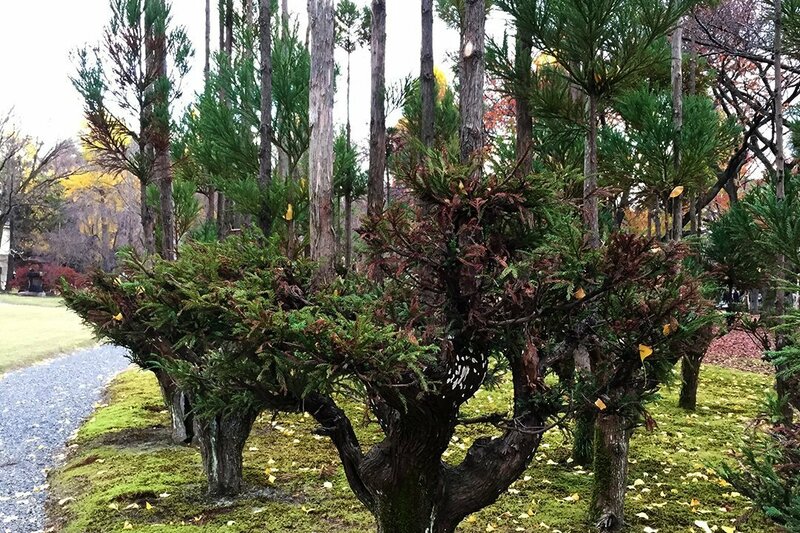 If you are in season, look for the grove of locally Omuro Cherries!